According to the media hype, the new phone app market is like a modern day gold rush. Headlines like 'Infinity Blade makes $1.6million in five days', 'Make $100,000 a year selling Android apps' and 'Angry Birds makes $2million a month' are enough to make a lot of hobbyist programmers sit up and listen. Developers from all walks of life are rushing into previously unexplored territory and staking their claim in the hope of finding their fortune in them there hills. So should we all get involved? Who's really making the money here? Are the app markets truly a level playing field? Make no mistake, mobile phone apps are big business. The potential profits are now big enough for people to dedicate themselves to app-building as a career choice. The Apple App store alone has already had 10 billion apps downloaded since its creation. Add to that the millions more from Google's Android Market, Nokia's Ovi Store, Research in Motion's App World, Microsoft Marketplace and Samsung Apps, and you can see why this growing marketplace is encouraging a hive of activity in app creation. The creation of the phone app has been a revolution - it's a whole new way to sell software, to advertise, to provide avenues for social networks and to inspire brand loyalty. Best of all, the app users carry their phones with them 24 hours a day. It's no wonder so many big brands now have their own apps, and that increasingly professional outfits are competing with the amateur developers for a place on customers' phones. At the moment, though, it's still a wide open market, where anyone can strike it rich. All you need is a laptop and the willingness to have a go at some programming. And people are. Individuals, small groups and major corporations are all joining in the frenzy to exploit this burgeoning market, and it's led to some impressive and unexpected success stories. As Donald Mustard, the man behind game app Infinity Blade, told us: "It really is like the Wild West." One of the most famous examples of the unpredictable nature of success in the app world is the battle between Angry Birds and Bubble Ball in the game download charts. Angry Birds is the most popular game in the app world: it's been downloaded over 50 million times since its debut in 2009, it took eight months to make and cost a reported $100,000. In December 2010 it was knocked from its top spot on the App Store by Bubble Ball - a simple physics game with very basic graphics, cooked up by a 14-year-old called Robert Nay from America with the help of his mother and some books from the library. With four million downloads in a month, Robert is the latest App Store success story. Don't be fooled, though, there is a big difference here - the paid-for Angry Birds is making millions a month for Rovio, the company that created it; the free download Bubble Ball has made its creator nothing. Well, nothing apart from worldwide fame and the likelihood of his choice of programming jobs when he leaves school, of course. And here's the crux - half of the apps that make headlines for achieving a million downloads in a matter of days are free. Yes, these people are 'app millionaires', but they won't be seeing a single penny from sales. That isn't a problem with foresight. Rovio released a free version of Angry Birds on the Android Market with an advertising bar on it, and the ads are now making the company more per month than the paid-for version - millions of dollars. This isn't an option for every app, though. This revenue system relies on the amount of time people spend playing Angry Birds - and they play it a lot. As Rovio spokesperson Ville Heijari told us, "What has been most impressive for us is the estimated 200 million minutes that our users spend on average with the game every day." That's the equivalent of the viewing figures for a small TV channel. That didn't happen by accident - a great deal of research went into creating Angry Birds. 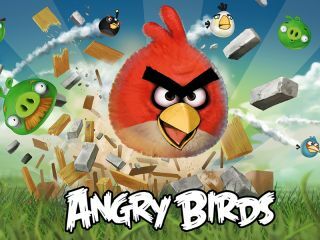 As Heijari said, "Rovio had produced 52 mobile games prior to Angry Birds since 2003, so the core team [already] had a pretty solid experience at developing games." Rovio specifically concentrated on the retention of users - it didn't want to create an app people would download once then forget about. To help this, every month the Rovio team releases an update for the app (and 80 per cent of people with the game accept that update). Oddly, these free updates also lead to an increase in new downloads of the app, probably because as the updates encourage people to play it again so new people (users' friends, for example) are exposed to it. With all this experience and the eight-month development cycle, did Rovio expect the success it got? "When we released the game," said Heijari, "we had a strong gut feeling that we had a hit game in our hands, with the potential for at least 200,000 downloads. So we can honestly say that we did exceed our every expectation." Rovio may not have expected the response it got, but it quickly turned it to its advantage. Angry Birds is now a brand, and Rovio is examining a whole wealth of possible profit-making spin-offs - keep an eye out for the Angry Birds TV series, board game, soft toys and PC games coming your way soon. Don't be put off by the Angry Birds figures, though - there are developers out there making a tidy profit from advertising on free apps that are nowhere near that scale. "I've been a software engineer for six years, but always on large systems that took months to develop and even longer to deploy!" he said. "The idea of being able to produce a small, self contained app that satisfies the needs of a user and lets you see results instantly really appealed to me." Inglis has developed a few apps, but what has been his best creation so far? "Sleeps to Christmas has been my most successful. It's a small, fun application that really appeals to children and families. I've had over 1.5 million downloads and [the app has] spent some time as the number one top free app in the UK. The app is ad-supported and brings income in the tens of thousands of pounds a year." So, is developing apps now his only source of income? "I'm at the point where I could sustain myself purely on developing apps," he says, "but I'm somewhat nervous about the stability of the income so I'm not quitting my day job - yet." What model does Inglis think works best - selling apps for free with advertising, or just publishing paid-for apps? "It very much depends on the type of application," he explained. "For apps marketed at the 'mass market', advertising works really well, but you need to ship in large volumes. For specialist apps, you'll never make enough out of advertising, no matter how targeted, so paid is the way to go. There are still issues convincing users it's worth paying the price of a cup of coffee for an app, but I hope this changes in the future."